In 1983, little known Colac farmer, Cliff Young stormed home to win the first Westfield Sydney to Melbourne running race. 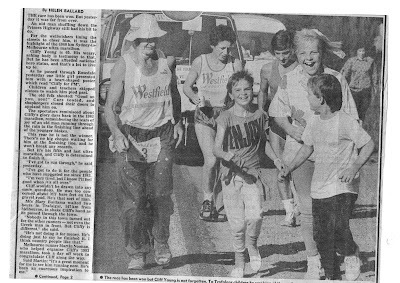 He wasn't known to the general public before the race, but by the end he was a Household name. 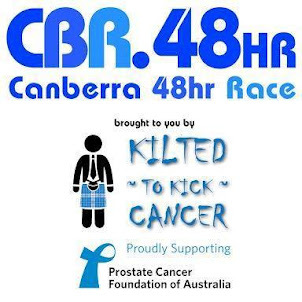 Cliff has now left us, but this is his story and his page. Please feel free to explore. His Ultra Bio - List of the races that Cliff competed in. 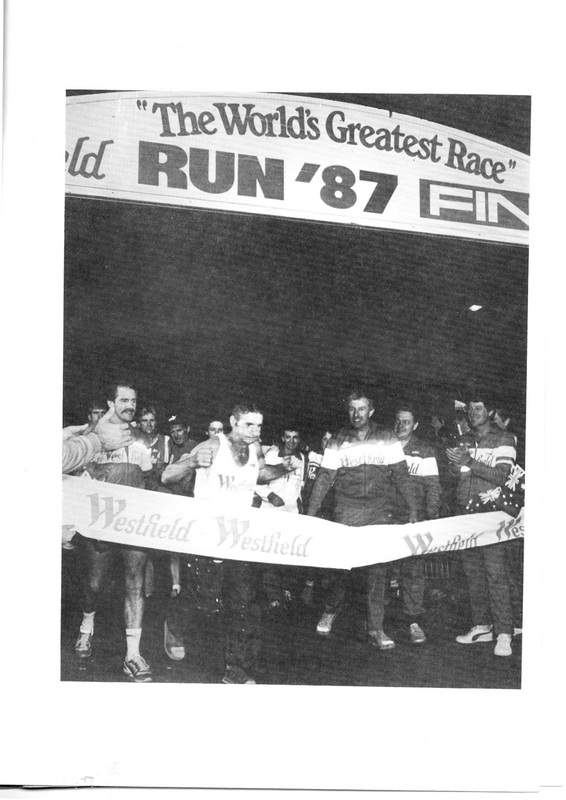 You will notice some more great achievements, especially after the 83 Westfield. 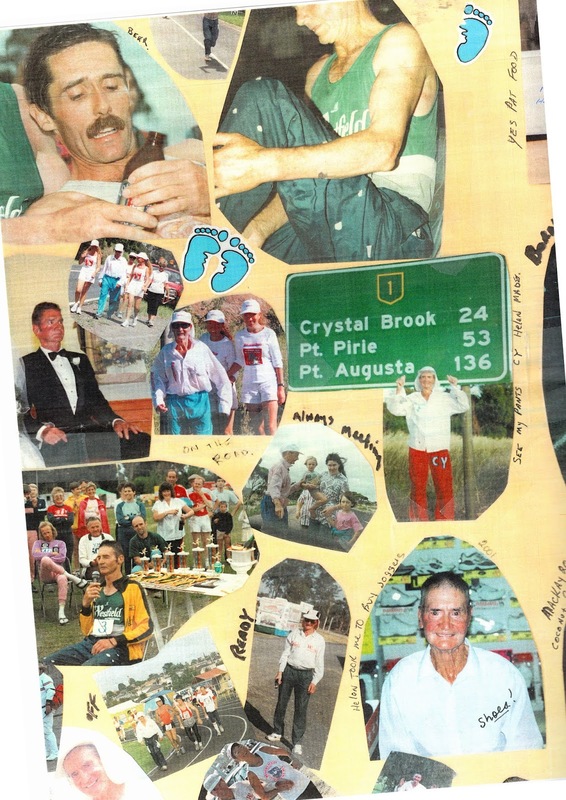 From Gumboots to Glory - A summary article on Cliff's achievements. 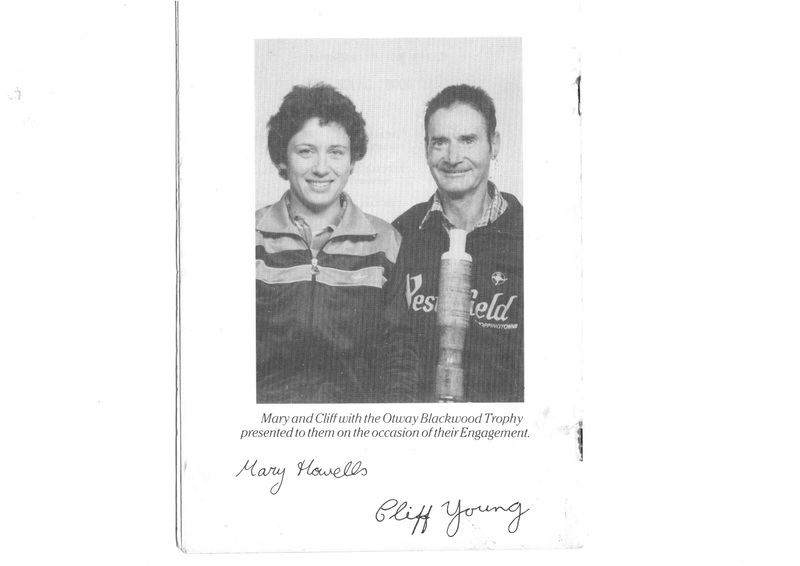 Cliff Young on Facebook - A facebook tribute page. 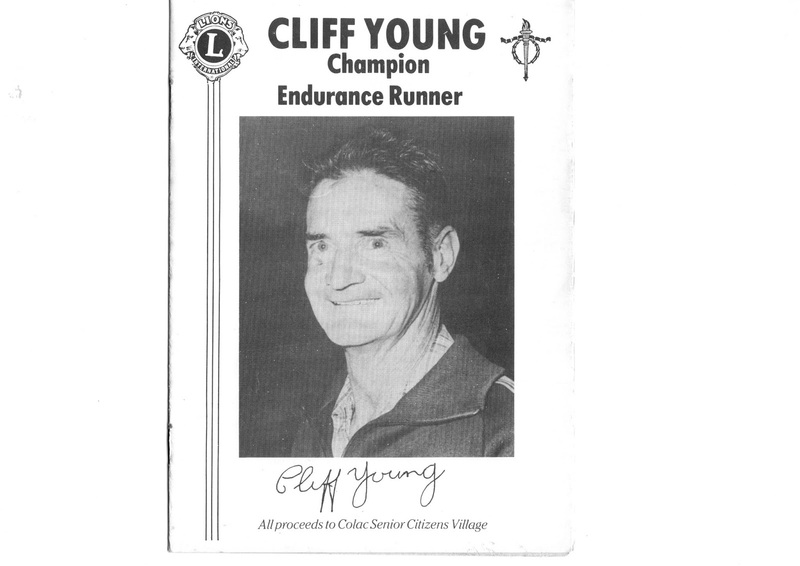 Tips from Cliff Young - An article Cliff put together for other Ultra runners. Photos - A collection of photos . More to add. The Ballad - a poem written by Cliff . 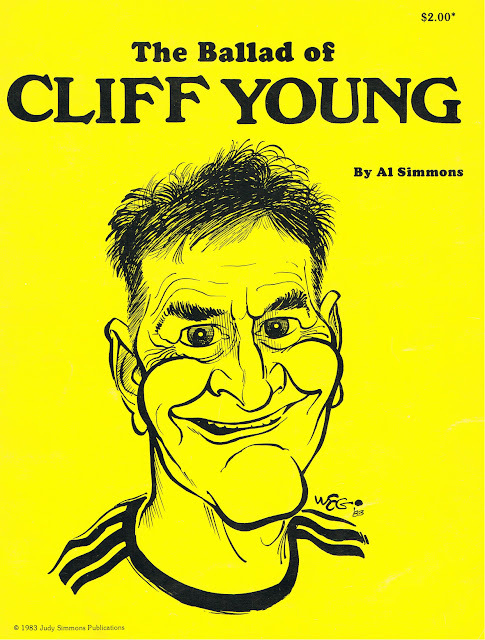 Cliff Young - 1921 to 2003 . 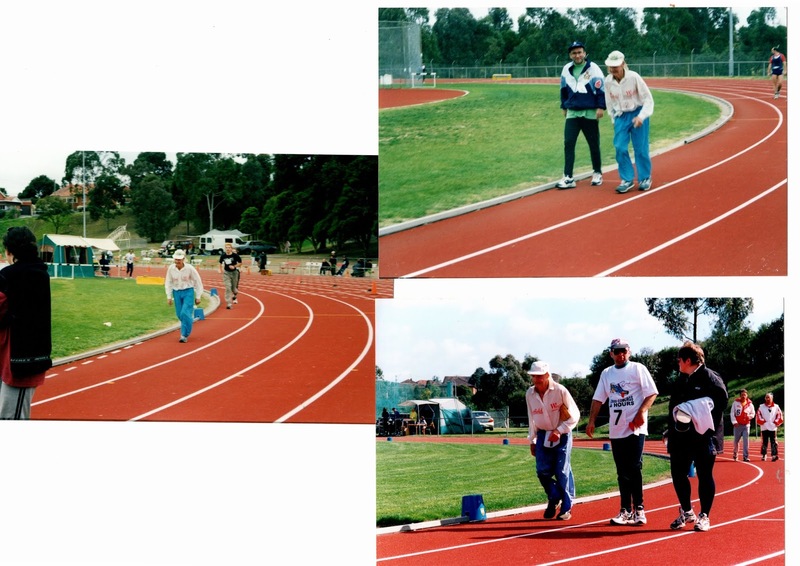 A summary article written by Jack Pennington . Cliffy Movie - An entertaining family movie produced about Cliff and the 83 Westfield. A lot of flaws in it, but that's entertainment. Cliffy Book - an incomplete book about Cliff's career. Could have gone into his career a lot further. 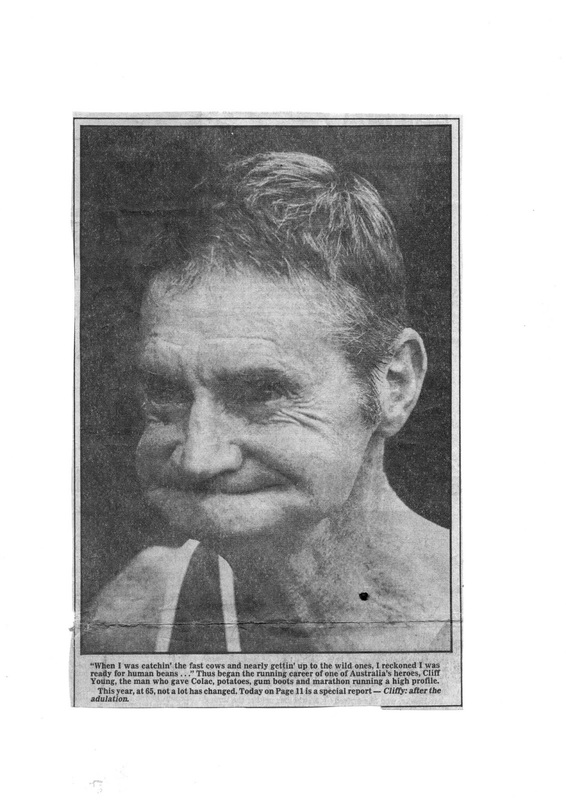 Further links to News stories - Some broken links. 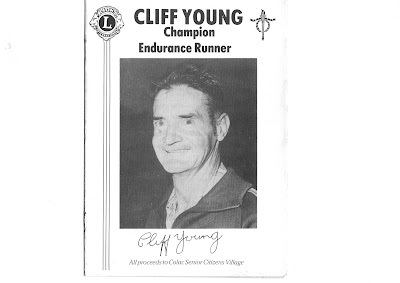 My wife's Grand Father was Cliff's trainer during the prep and race. What an odd couple they were.